Perhaps the best part, though, is that your files aren’t stored locally on your computer or mobile device, but rather in the cloud. Of course, when we mention “the cloud,” we’re essentially referring to what is for some a magical place on the internet where everyone’s files are stored, but it’s really nothing more than a remote server farm that houses all of your photos, videos, etc. We’ll be comparing six popular cloud storage services and trying to find which one offers the best value: Dropbox, Google Drive, Microsoft’s OneDrive, Apple’s iCloud Drive, Box or Amazon Cloud Drive. 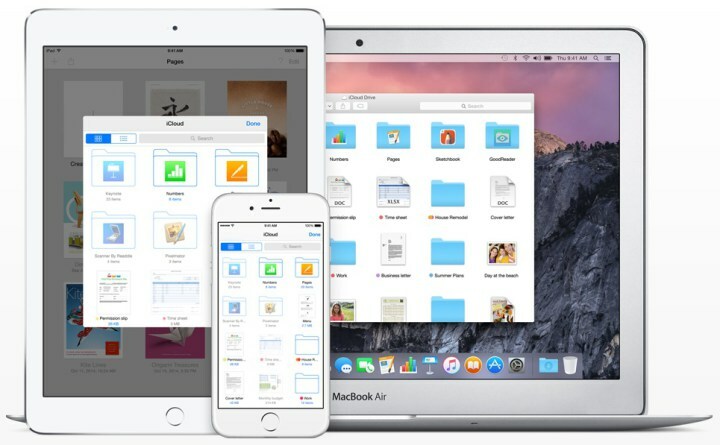 iCloud Drive doesn’t really compare to the other cloud storage services because it’s really not quite the same — there’s no standalone iCloud Drive mobile app for the iPhone or iPad. But you can at least get a file explorer-type view of your iCloud Drive files on Mac, just as long as you’re running OS X Yosemite or newer. Here’s how these six cloud storage services compare to each other and what you should look out for when shopping for one to use. Below you’ll find a handy chart that gives you lets you quickly compare six cloud storage services with ease. Now, let’s go over each cloud storage service briefly and highlight the pros and cons of each one. 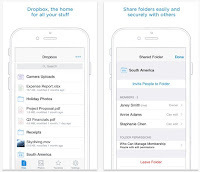 Plus, there are Dropbox apps for pretty much every platform and device you can think of. 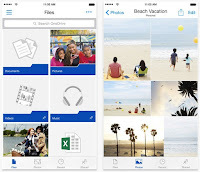 So whether you’re an iOS, Android, Windows Phone or even a BlackBerry user, it’s all the same to Dropbox. The desktop apps, especially, blend in well with both Windows and OS X, making it easy to add and remove files from your computer. Perhaps the biggest downside of the service, though, is that you only get 2GB free, which is the least amount of storage out of the six services compared. 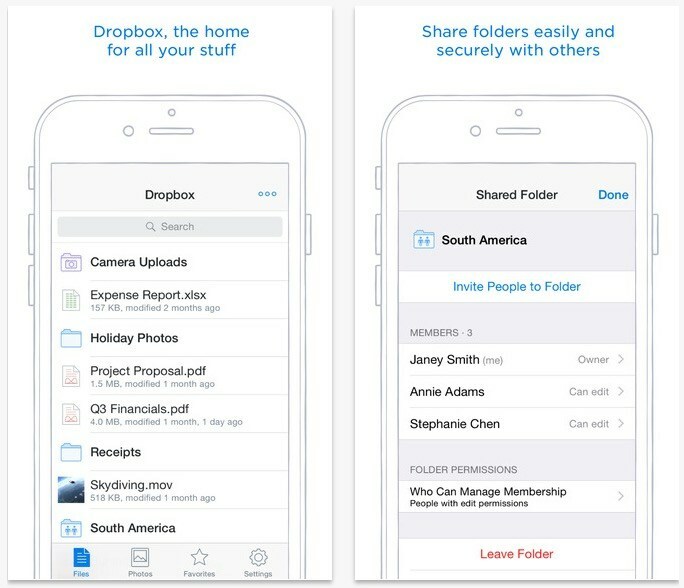 However, that’s usually enough to store most of your important files and Dropbox makes it really easy to earn more storage anyway. Without a doubt, OneDrive is the best cloud storage service to use if you’re a Windows user. It works seamlessly with Windows and Windows apps and if you’re running Windows 8 or newer, it’s already built into the platform. Plus, Google Drive offers a solid 15GB for free that’s shared with Gmail, giving you plenty of space for your files without paying anything. However, uploading photos from your phone is a kind of a pain. The app can automatically upload photos that you take to your Google+ profile, but there’s no way to have them sync to the Google Drive desktop app. There is still appeal for those who aren’t Windows users, since there are Mac and iOS apps available. But you have to sign up for a Microsoft account in order to use OneDrive, which really isn’t worth it, especially with other cloud options available. iCloud Drive is Apple’s own cloud storage service and it works seamlessly with all Apple products running iOS 8 or newer and OS X Yosemite and newer. It’s a bit limited compared to an actual cloud storage service, since there’s no standalone iCloud Drive app for iOS. Because of that, you can’t really access any of your iCloud Drive files like you would with Dropbox or Google Drive. Plus, its paid plans are a bit on the expensive side.